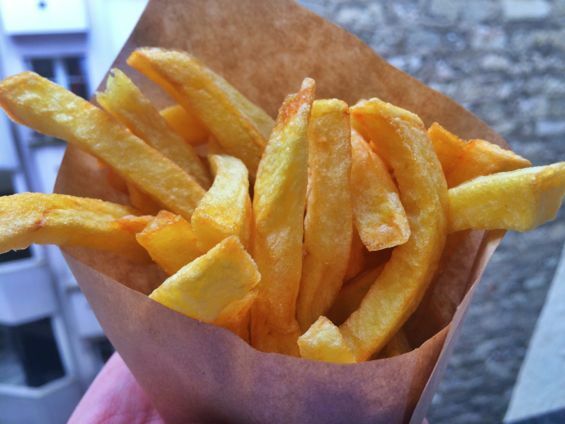 To be honest, I feel a bit silly writing about food in Paris. It goes without saying that it’s a city of incredible culinary scope – and so, what can I add to the conversation? Much as I’d like to think otherwise, at the end of the day, I know I am a tourist, and I don’t pretend to have vast knowledge about all the culinary establishments the city has to offer. 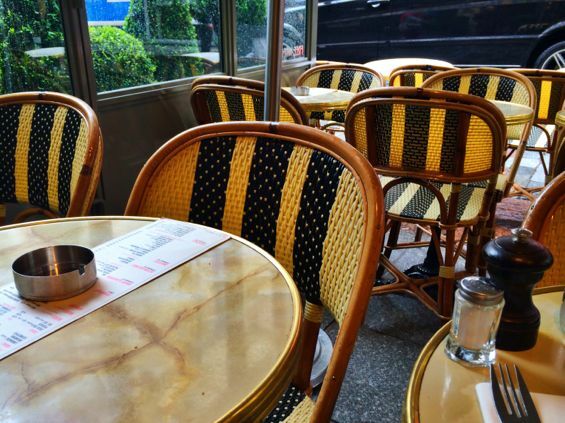 I cannot authoritatively state, “THIS, my friends, is where you should eat when in Paris” – but I can tell you about the places I have eaten at and enjoyed…which I shall now do. Le Petit Cler was, quite literally, steps from my hotel – meaning it was inevitable I’d frequent it at least once. Not inevitable, however, was that it would be good. Luckily for me, it was. The beauty of Le Petit Cler is this: the menu is simple (it’s just a one-pager, encompassing both lunch and dinner), but the food is great. 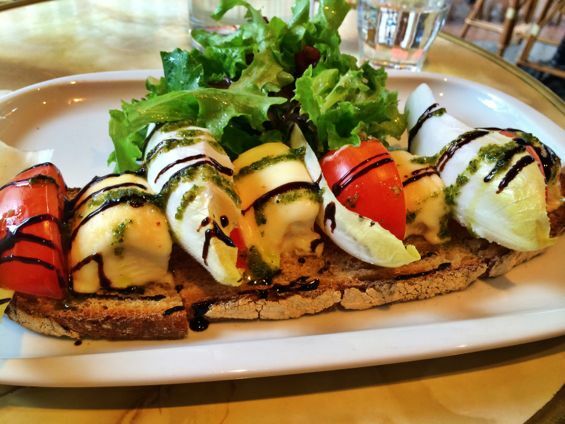 For lunch, I heartily recommend the grilled bread with roasted goat cheese, tomato, pesto, chicory, and balsamic. I love goat cheese, and this meal is pure goat cheesy perfection. For dinner, I had the flank steak and baked potato for a simple and classic meal. 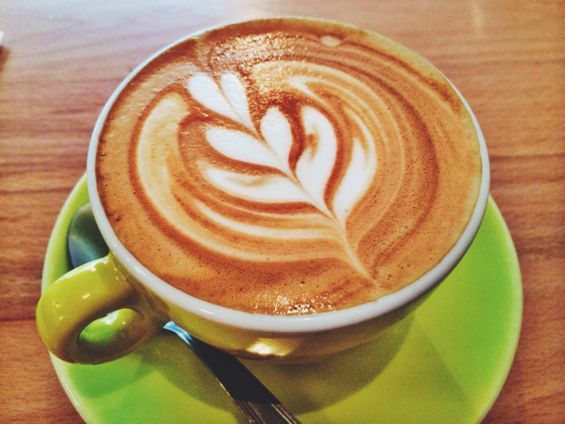 Whatever time of day you eat there, make sure to end your meal with a cappuccino, combined with a liberal dose of people-watching the crowds moseying down Rue Cler. If Paris has hipsters, then I’m 99.9% sure they congregate at Holybelly, a cozy, hip café serving up tasty breakfasts and lunches. Well, to be honest, I’m assuming on the lunch part, as I only visited at breakfast time – but breakfast was damn good. 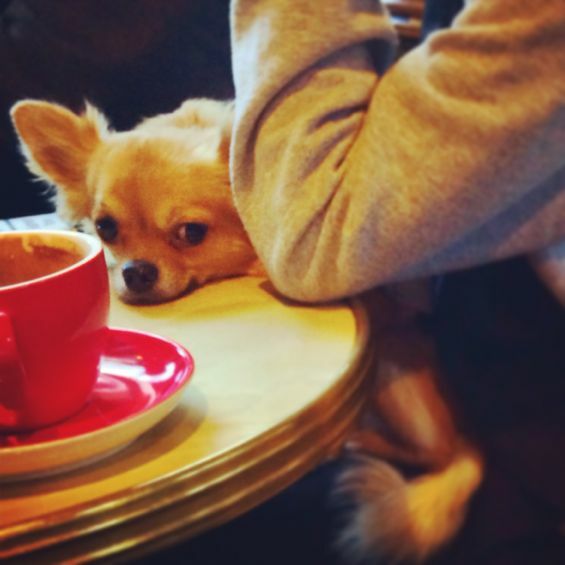 When I arrived at Frenchie, the restaurant was jam-packed (a good sign, I figured), so I ordered my food to-go. 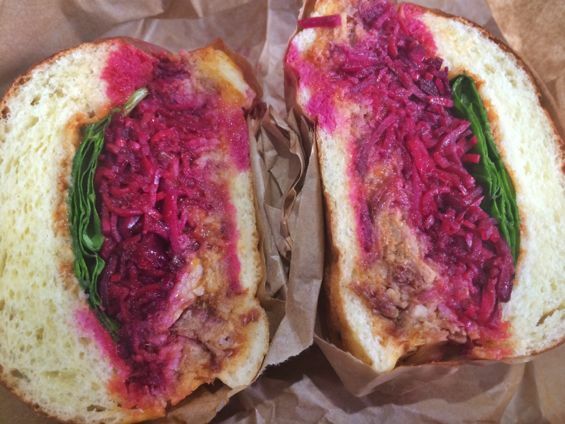 The entire menu looked great, and for an American who’s been traveling abroad for a while, it offers lots of comforting favorites: a reuben, pastrami on rye, pulled pork, and a hot dog, to name a few. I opted for the pulled pork sandwich, topped with barbeque sauce and coleslaw (plus a side of fries). It was a little taste of home and it totally hit the spot. 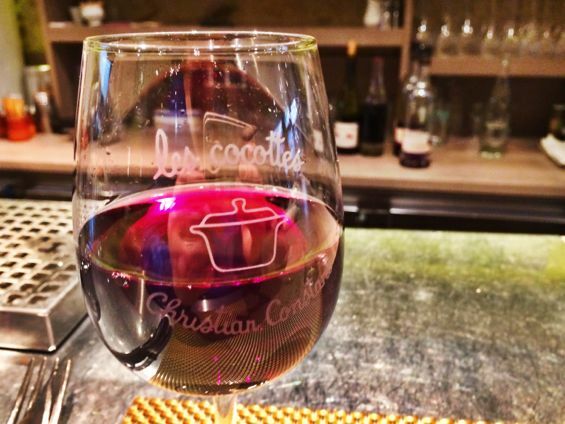 Les Cocottes just might be the ideal lunch spot on a cool, drizzly Paris day: the main courses here are stews, all served en cocotte, or in a Staub casserole dish. 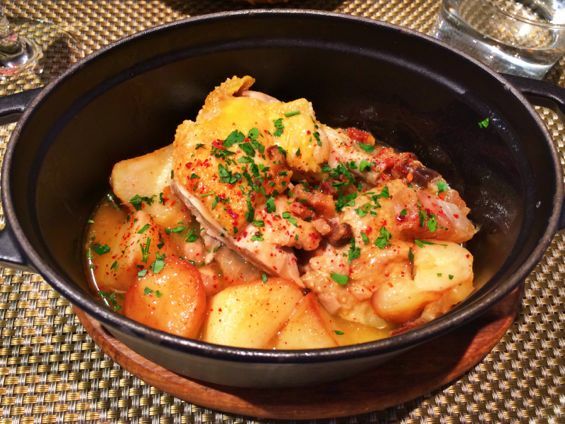 It’s warm, hearty comfort food, perfect for a pick-me-up during a chilly day of sightseeing. The restaurant has a long counter, so if you are dining solo, it’s a perfect spot: you won’t feel awkward eating there at all. 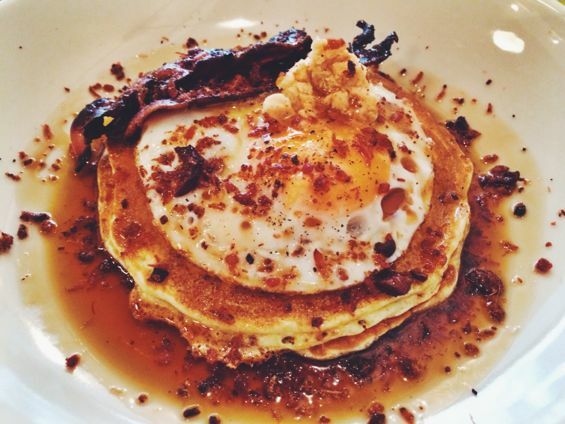 Another perfect breakfast spot, located just around the corner from Rue Cler. 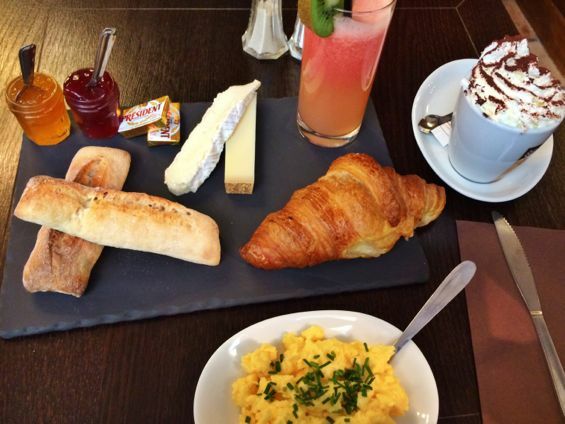 There are three breakfasts to choose from here, and I went with Le Septième: coffee or tea, fruit juice, bread with butter and jam, a croissant, a few pieces of cheese, and scrambled eggs, all for 14 euros. The food was great, and the server was quite friendly, making for a spot I could easily see myself returning to again and again. 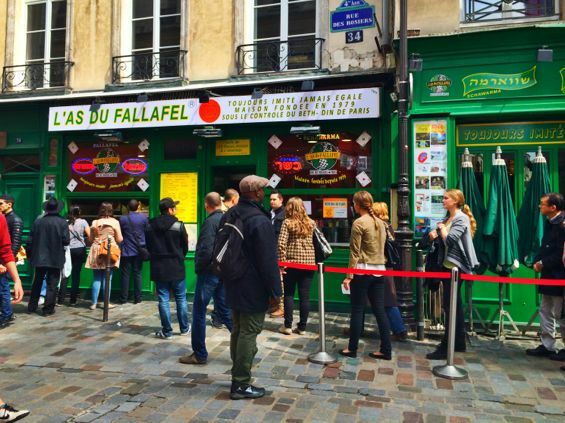 It felt like a bit of a Paris cliché to make the pilgrimage to L’As Du Fallafel: everyone, it seems, goes there, and I knew the cobblestone streets surrounding the place would be jam-packed with tourists (myself included) eager to try the famous falafels. Still, if there’s one thing I’m a sucker for, it’s food trends, and so I went. 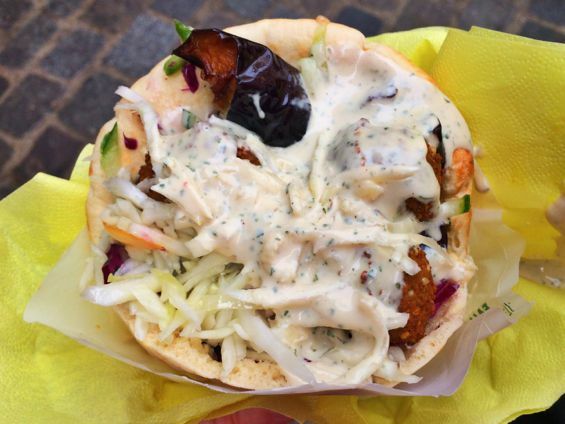 Located in the Marais (and not too far from another favorite, L’Eclair de Genie), L’As Du Fallafel serves up seriously gigantic, filled-to-the-brim falafels. The line may be long when you get there, but don’t let it deter you: they know what they are doing, and it moves quickly. As for the falafel itself, I give it high marks – it was delicious and deserving of the hype (unlike some other places I know; cough Shake Shack cough). 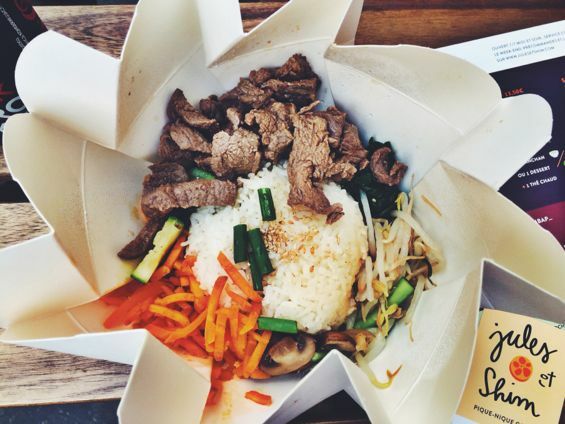 Strictly speaking, does one need Korean bibimbap when in Paris? Perhaps not, but Jules et Shim is really tasty. Lured by the promise of delicious food in highly Instagrammable flower-shaped containers (not to mention the restaurant’s proximity to Canal Saint-Martin, which I had been eager to visit), I made the trip to Jules et Shim. I found the food a great value for the money: you get a filling, healthy portion, which you can enjoy at one of the restaurant’s few tables, or can take to-go to eat by the canals. 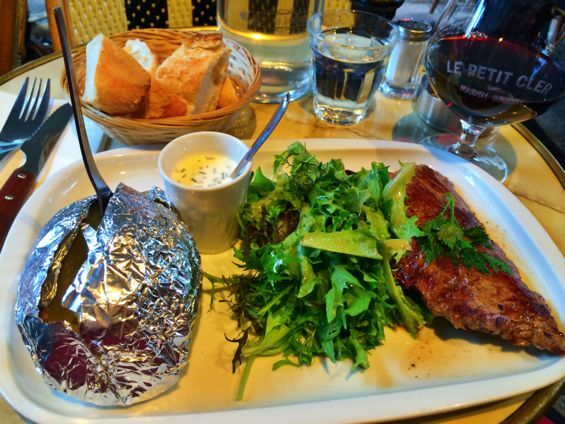 An easy, quick Paris lunch – and a real win – in my book. And there you have it: some of the culinary highlights of my too-short week in Paris (well, along with these desserts). Tell me: what did I miss? What are your Paris favorites?